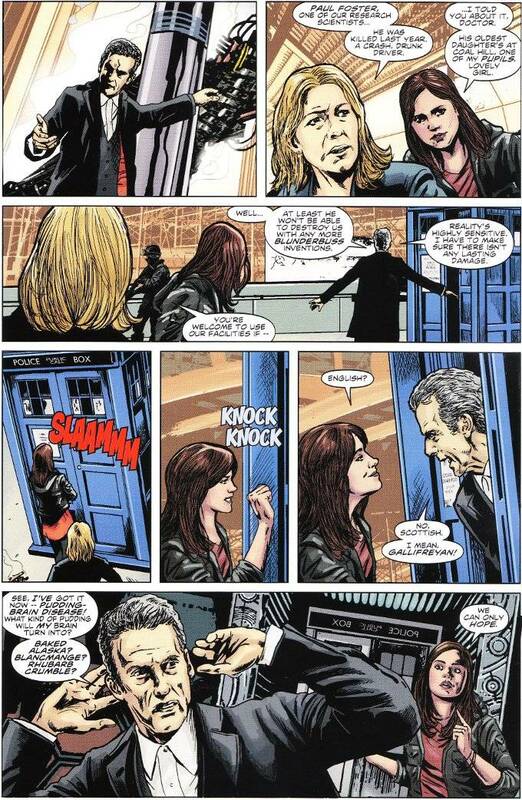 I hesitate to summarize the story of Doctor Who: The Twelfth Doctor #6. Not for the sake of avoiding Spoilers, but because I'm not really sure there's a way to summarize the story so far. Quite a lot happens in this issue involving UNIT, holes in the fabric of space and time, dead men not being dead anymore, Clara being an awesome teacher and a fair bit of daring-do and do-daring. There's even a brand new monster! But none of it is easily explained or codified into a single paragraph. What I can say is that Robbie Morrison has perfectly captured the spirit of Series 8 of Doctor Who. 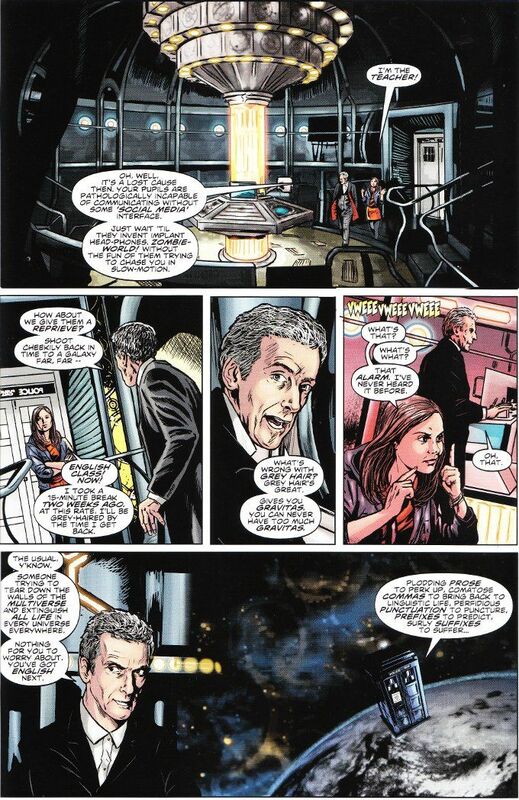 The snark of the Capaldi Doctor is on full display throughout the issue and I found myself laughing at him and Clara Oswald more than once. This whole issue feels like the storyboard for a lost episode of the television series. This feeling is further aided by the artwork of Brian Williamson. Williamson possesses a photo-realistic style that does a grand job of capturing the likeness of all the show's regular characters. His only failing is a tendency to apply his inks a little heavily on occasion but the vast majority of the book looks perfect.